We looked at what determines whether people who arrive on a business-oriented landing page will move forward on the site or “bounce” to a competitor’s. 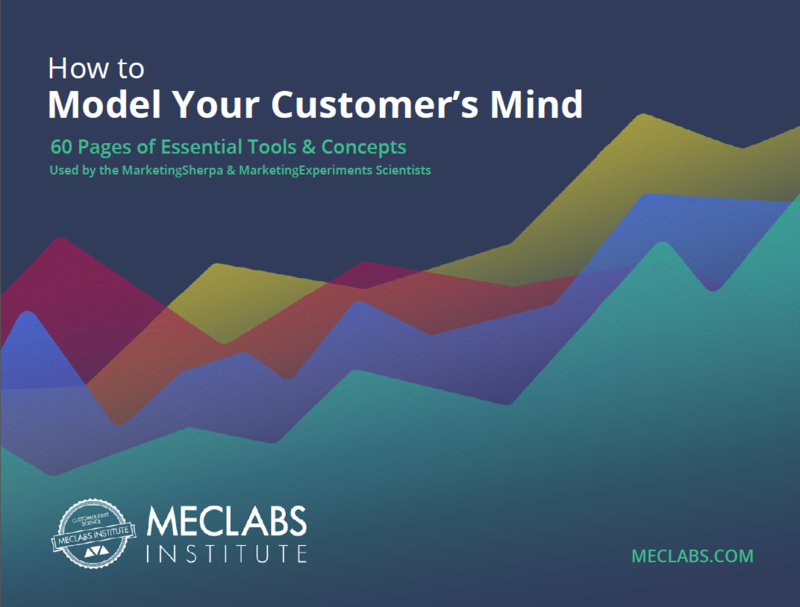 The factors and principles indentified are the collective product of research conducted over many months across a broad spectrum of products and industries. 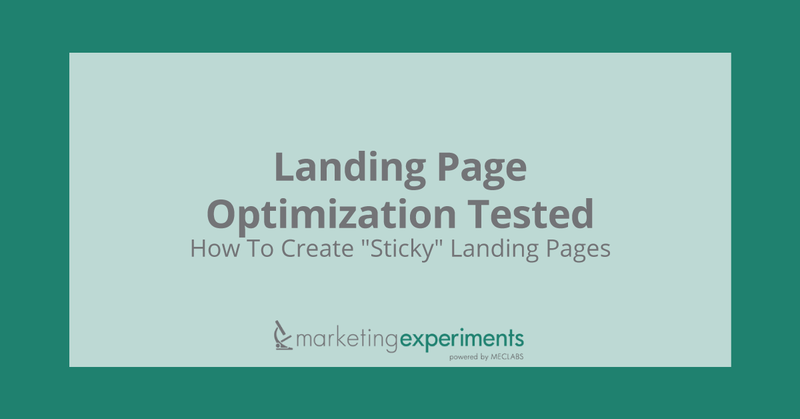 We used recent research to explore the factors that influence what makes business landing pages “sticky” and how to use this information to direct your landing page optimization strategy. EDITOR’S NOTE: The live clinic where this research was presented included analyses of essential “sticky” principles using sites from participants specifically for the clinic by Dr. McGlaughlin and the Marketing Experiments Team. You can listen to a recording of the clinic by using either of the links below. With continually increasing competitive and economic pressures, many businesses find allocating time to landing page optimization a challenge. But it is essential that we fight complacency in order to effectively overcome those business challenges. Because marketing IS testing, companies must have the right tools and processes in place to keep up with changes in their markets, with industry and world events, and with technology-enabled threats from competitors. We conducted a 7-day experiment with a company offering an innovative personality assessment in which the visitor receives an assessment of personal communication style. The goal was to obtain as many assessment completions as possible. 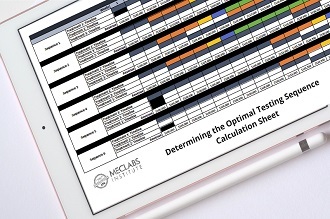 For this landing page, the objective is a click-through to the assessment start page. The best performing page is the one with the lowest bounce rate. Note the brief introductory paragraph (“ActualMe.com has pioneered . . .”), the “Take your FREE assessment” offer, the quick bulleted points, the “FREE Personality Profile” offer, and the email capture at the bottom as the only fill-in field. This page contains more than 4 times the amount of text with much more detail. 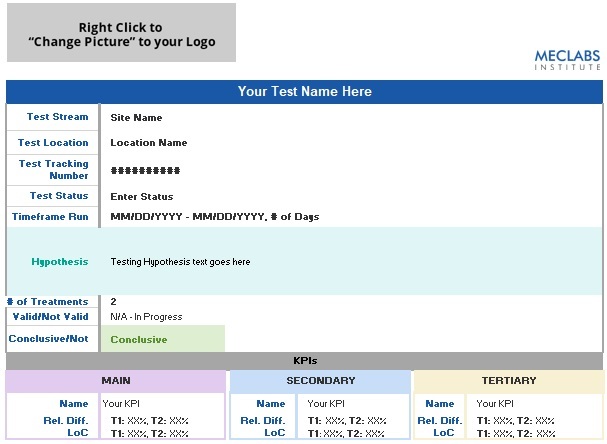 Although we’ve kept the anchor tag (“Take your FREE assessment”), the email capture button is at the very bottom. Note that this treatment is exactly the same as Treatment 1 except for the number of fields required to continue. ActualMe’s goal was to get the visitor to complete an assessment. Treatment 4 (Long copy with physical address capture) was exactly the same as Treatment 2 except that it required the visitor to fill in more information before proceeding to the assessment. Notice that in all of these the eye path is vertically aligned, the only thing on the right being supportive and not necessary to complete the process. Take a few minutes and think about which treatment you feel would get the lowest bounce rate. And while you’re at it, think about the science behind the copy. The tone of voice is almost academic. The key idea behind the site is that people can improve their communication skills by taking the assessment. We provide testimonials, the “20 Years” seal, and a sample report to bolster credibility, but comparing the click-through between long and short copy is the main thing to key in on. 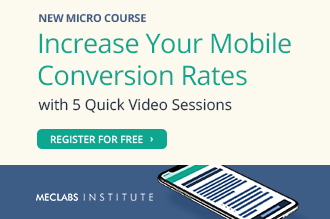 What you need to understand: The landing page treatment with the least friction* (i.e., shortest copy and fewest fields) had a 16.2% lower bounce rate than the page with the greatest friction level, and 6.7% lower than that with the next lowest friction level. This made us curious about What would happen if we tested even shorter pages? So we tested the best performing page from the first test against two new landing pages: one with even shorter copy and another with almost no copy at all. We also tested friction variation by removing the email capture. This also reduced anxiety, as no personal information was requested on the landing page. Take your time and think about which would get the lowest bounce rate. What you need to understand: By reducing the amount of copy and removing the email capture both new pages performed better than the previously best performing page, with the best page yielding more than a 59% lower bounce rate. Note, however, that the shortest version did not perform as well as Treatment 5. We are searching always for the “Information Divide”—the line that divides too much information from too little for the visitor to stay on the page and continue through the funnel. Further testing is underway on the hypothesis that this was caused by the unique absence of any text or image references to ActualMe’s use of “The Science Behind . . .” [the test], the elimination of which could reduce credibility and increase anxiety. Question: Does short copy always outperform long copy? You will know, if you have been a Marketing Experiments journal reader for long, that the answer is “No.” You have seen many case studies in which long copy far outperformed short copy. To illustrate this point, let’s take a brief look at one such experiment with an investment newsletter site that shows the relationship between copy length and page performance. In this case, the long copy version, which included extra anxiety-reducing elements and other features enabled by the long copy format, performed far better, ultimately yielding an 89.4% increase in conversion. Key Point: Whether long copy or short copy is more likely to hold visitors on your site or “bounce” away to a competitor is influenced by these key factors. Question: What determines which will perform better? What you need to understand: The newsletter subscription offer involves a monetary purchase and a one-year commitment, and fulfills a “rational,” practical need. This involves an analytical decision about value vs. cost. On the other hand the ActualMe product offers to fulfill an emotional “want” to discover more about “myself” at no cost, little time investment, and low perceived commitment. The more risk you perceive in making a wrong decision, and the longer you will have to live with the consequences of that wrong decision, the more compelled you feel to gather information and make a considered choice. Possible examples include selecting a health insurance plan, attorney, or heart surgeon. Such buying situations lend themselves to long copy offer pages. Friction—caused by elements of the page that require a prospect to do extra work and increase the likelihood of abandoning the page due to fatigue or irritation. Incentives such as bonus gifts or special offers can make the offer feel more worthwhile and encourage the visitor to continue. Visitor Motivation Level and Type are factors that influence how many will remain on the site or bounce off. The nature and level of visitor motivation is essential to what landing page attributes will prove to be the “stickiest.” If people really want something, they’ll put up with more friction. We observed this in the short-copy vs. long-copy case study. Value Proposition—How quickly, clearly, and effectively the landing page conveys the site’s value affects its ability to move visitors to the next step and not abandon the site. Anxiety—All visitors arrive at a site with an initial level of anxiety caused by their perceptions of the relative risks associated with the site, the company, and the product. We saw that the level of friction caused by copy length and form fields varies depending upon factors such as product cost and commitment levels. These can be offset by adding incentives such as bonus gifts or special offers. We observed that the amount of initial anxiety from the perceived risk/cost of going forward influenced how much copy, including credibility indicators and explanatory text, was optimal to balance against added friction from copy length. Low perceived risk (anxiety) equals short copy being optimal, while high perceived risk (cost, commitment) correlates with long copy being optimal. The type of motivation also proved to be a factor. Rational/analytical/“need”-oriented products consistently correlate with long copy as optimal, while emotional/impulse/”want”-oriented products correlate with short copy being optimal. Analyzing these factors about your own site and products will help you design landing pages that go beyond simply preventing them from bouncing off the site to instantly engaging your visitors and impelling them forward to your desired action.